If you have a camera on your computer, you've got to get Skype. It's so fun to talk to my fam with this. And my padres can see Baby O in "almost" real time. 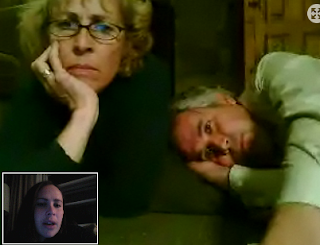 Above is a pic of the padres talking to me on Skype yesterday. Yes We have got to do that more often. So fun to see you in the moment!